Not only is this a quick breakfast for those weekdays when you want to hit the road in a good mood, but it’s got protein, complex carbs and lots of vitamins. It’s a Mexican celebration. 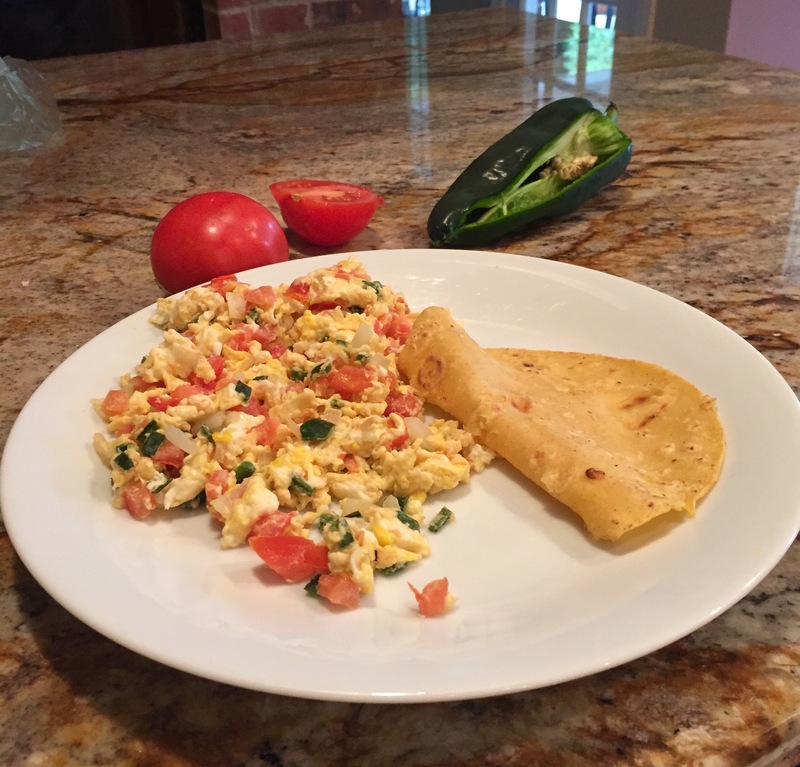 All of the ingredients in this breakfast were enjoyed in Texas before the1500s: eggs, tomato, chile, onion, corn, oil and salt. Among these, onion is of interest because it, like salt, appears everywhere on the planet, unlike chiles, tomatoes and corn which are original and native to Mexico. Archaeological evidence of onions dating back 9,000 years was found in a cave located north of Del Rio, Hinds Cave. The scientific name of onion is “allium,” and the one specific to Texas here is “allium drummondii,” pictured here. 1. In a skillet, heat the Canola oil over medium heat and add the onions and chile, and cook until the onions are translucent, about 5 minutes. 2. Add the tomato and cook for 1 minute. 3. Add the eggs and salt, and scramble vigorously, combining all of the ingredients until the eggs are cooked. Adjust the salt. Serve with corn tortillas, preferably freshly made, recipe here.